Intangible heritage preserves culture and celebrates diversity of communities. As UNESCO recognises the threat to each culture or location’s intangible cultural heritage, the challenge is to preserve these practices. Navroze, the beginning of the Parsi New Year, falls on March 21. On the occasion, Dr Shernaz Cama, director of UNESCO Parzor, who has worked to preserve the heritage of Parsis, said the The Parzor Foundation represented India for the Intangible Cultural Heritage of Navroze at the 74th Almond Blossom Festival — which celebrates the arrival of spring marked by the blossoming of almond trees — in Agrigento in Italy recently. Intangible heritage preserves culture and celebrates diversity of communities. As UNESCO recognises the threat to each culture or location’s intangible cultural heritage, the challenge is to preserve these practices. “At Parzor, we are proud to have kept the practice flourishing,” said Dr Cama. Navroze was added to the UNESCO List of the Intangible Cultural Heritage of Humanity in 2009, when Parzor represented India for the candidature file and won the First Multi-National Candidature award for India. 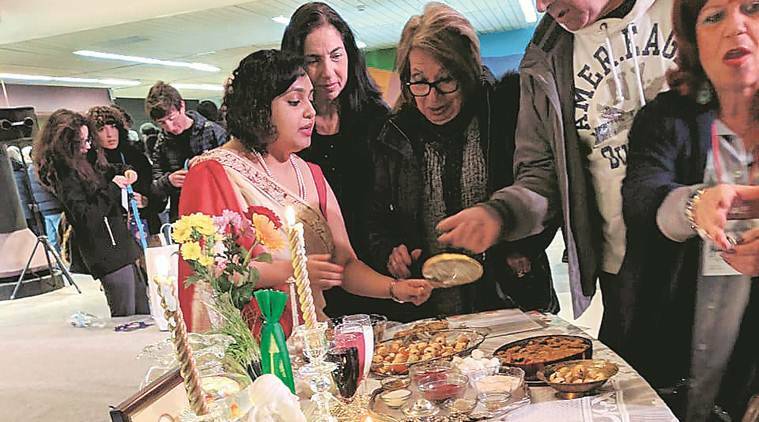 Since then, every year, Parzor has been participating in events to showcase one of India’s Intangible Cultural Heritage, Navroze, both within the country and around the world. Today, more than a dozen countries have been added to the Representative List of the Intangible Cultural Heritage of Humanity for Navroze, since they have actively revived this ancient, originally Central Asian tradition. The origins of Navroze lie in the seasonal festivals of Central Asia and are part of the Zoroastrian respect for the environment. Celebrated on March 21, it is the beginning of the New Year for Iranians and Parsis and is also celebrated as a spring festival by Kashmiris. At the 74th edition of the festival, Mahtab Irani from Parzor Foundation represented India to present the UNESCO Intangible Cultural Heritage of Navroze. Cama pointed out that the initiative also intends to enhance the relationship between artisitic expressions and cultural traditions that have been recognised by UNESCO as intangible heritage. The festivals play particular value with the participation from countries across the world representing their cultures while recognising others, Cama said. “It has been momentous and a matter of pride that a small minority community from India represents the country for a tradition practiced in at least 12 central Asian countries today. The community, especially its women, have been able to pass on the tradition through the generations,” said Cama.